Dishwashers, washing machines, and clothes dryers join GE's ovens, refrigerators, and GeoSpring water heater in having their own IFTTT channels. GE added three more IFTTT channels Thursday, saying it is now the only appliance maker in the world to support the connected-home service across its entire product line, which consists of dishwashers, clothes washers and dryers, cooking appliances, and a water heater. If you're not familiar with IFTTT, the acronym stands for “If This, Then That.” It's a simple method of automating tasks based on conditions. Users create simple scripts, dubbed “recipes,” on the service’s website or mobile app and IFTTT handles the rest. IFTTT later came up with a Do Button that eliminates the "If" part of the recipe and simply performs your instruction. If your dishwashing cycle has ended, then blink your Philips Hue lights to alert you. With a Do button, you can tell Amazon’s Alexa digital voice assistant to have the dryer extend its drying time. If the refrigerator door is left open, send a text message. The above is by no means a comprehensive look at what you can do. While IFTTT does offer suggestions, it connects with more than 300 services so the permutations of what can be accomplished with it are limited only by your imagination. 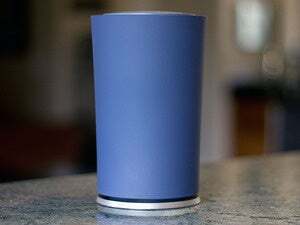 “Having the full suite available on IFTTT allows consumers to stay on top of their home appliances in new ways that are created just for them and their lifestyle,” said GE’s connected-appliances chief Brett Luckabaugh. In spite of the power on tap, relatively few of GE's customers have taken advantage of what IFTTT has to offer. The company's press release says it has "over 400 connected users across multiple IFTTT channels." But that 400 has been prolific so far: More than 3000 recipes run each week.